"Volunteer Defence Corps Manual" handbook. Heavy cardboard cover fron & back, with pamphlets bound together with a black shoe lace. Pamphlets 1 - 14 (not including No. 3). Ramsay, Ware Publishing Pty Ltd.
AMR.&O. 1588B, on cover-stamp "RSL VOLUNTEER 12th B.N. 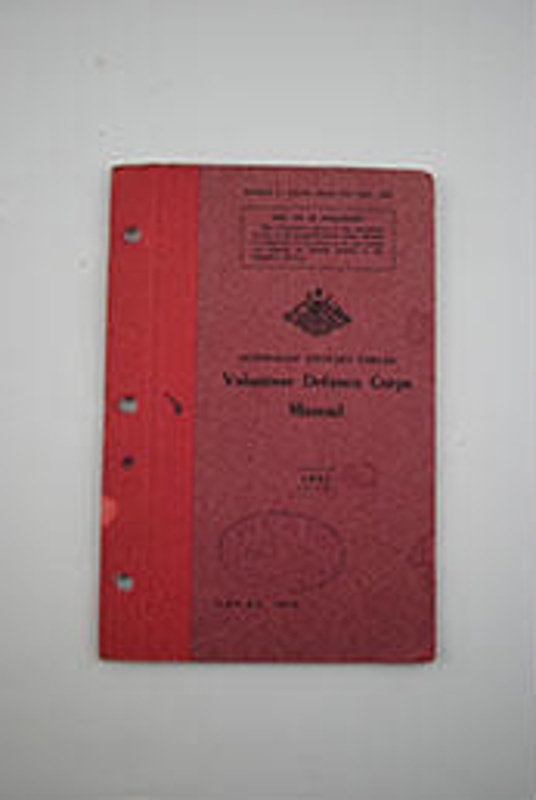 DEFENSE CORPS" 9067/-7/41.